First Love Missions: When Was Jesus Born? 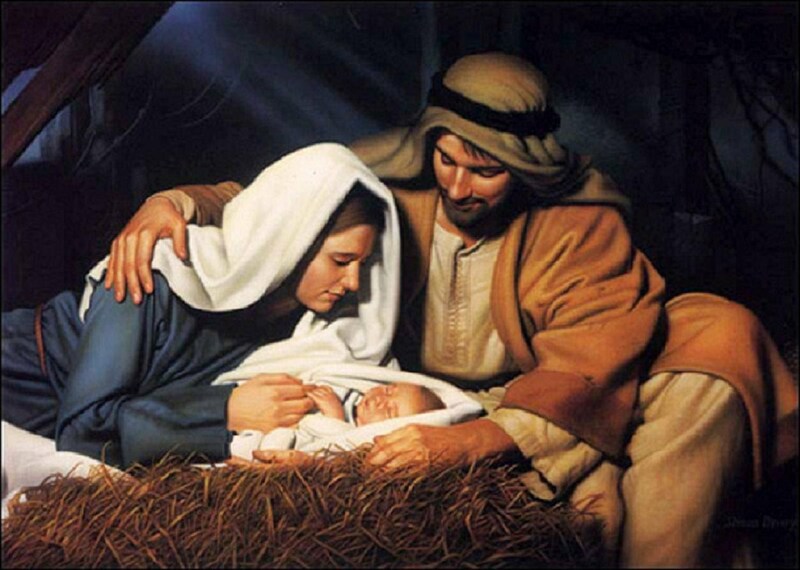 The most important aspect of Christmas is, of course, celebrating the birth of Jesus, the savior of the world. This being said, the time frame of December is off the mark - and this post is meant to shed light on this aspect alone. If you’ve ever been to Israel in Winter or spoken with someone from Israel, you will know that it’s cold at night in December - and that animals are sheltered in pens in winter, not pastured. The shepherds wouldn’t be ‘tending their sheep by night’ in December. But, this isn’t enough to disprove a December birth of Jesus - for this we turn to the word. According to Luke 1:24-26, Mary ’conceived’ Jesus in the sixth month of Elizabeth’s pregnancy with John the Baptist. This means that Jesus was born 15 months (9 +6) after the angel Gabriel appeared to Elizabeth’s husband, Zacharias, and informed him that his wife would bear a child. According to Luke 1:5, Zacharias was a priest of the division of Abijah. Luke 1:8 says that Gabriel appeared to Zacharias while he was serving as a priest in the Temple. The division of Abijah served as priests during the second half of the fourth month of the Jewish calendar — which would have put it in late June since the Jewish religious calendar begins in March, with Passover. Three months later (9-6) would place the birth of Jesus in the seventh month of the Jewish calendar, which would be in either late September or early October. Jesus’ conception, not His birth, occurred in December (of the previous year). This time frame also coincides with the Feast of Tabernacles, the Feast of Ingathering, a biblical Jewish holiday celebrated on the 15th day of the seventh month, Tishrei. An aside: The number seven represents perfection in scripture. Coincidence? Nope. John 1:14, speaking of Jesus as the Word, says: “And the Word became flesh and dwelt among us.” The word “dwelt” that is used here is the Greek word “skenoo”, which literally means “to tabernacle”. When God came to earth to tabernacle among men, He deliberately chose His arrival to coincide with the Jewish Feast of Tabernacles. Coincidenza? Nope, God doesn’t do coincidences. This is very appropriate, for the Feast of Tabernacles is the most joyous of all the Jewish feasts. It is, in fact the feast of praise and thanksgiving. Further, Matthew 1:23 states, “BEHOLD, THE VIRGIN SHALL BE WITH CHILD AND SHALL BEAR A SON, AND THEY SHALL CALL HIS NAME IMMANUEL ," which translated means, "GOD WITH US." In addition to this is the fact that lambing season, when lambs are born, is from March to late September-early October in Israel. Jesus is the ‘Lamb of God’, sent as sacrifice for our sins. No coincidence here either. The birth of the lamb of God, dwelling with us, Feast of Tabernacles. Hallelujah!